This bait blows peanut butter and sunflower seed's out of the water! 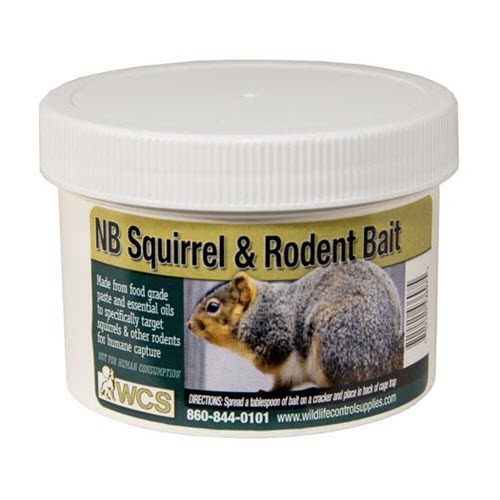 On Target squirrel paste is used like other squirrel baits, just simply spread a 1/2 teaspoon of squirrel paste onto a piece of bread or cracker and place behind the pan of a live squirrel trap and pesky squirrels can not resist the temptation. This bait can also be used with a body grip trap or a snap trap!